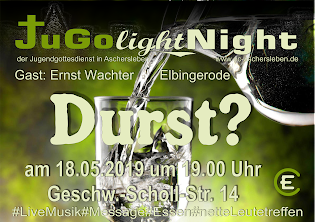 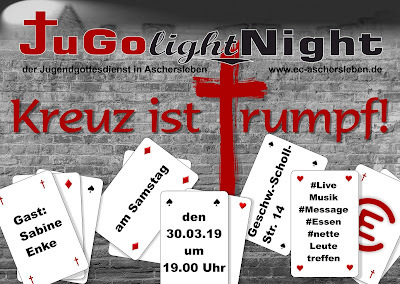 vom JuGolightNight "KREUZ IST TRUMPF"
am 19.01. 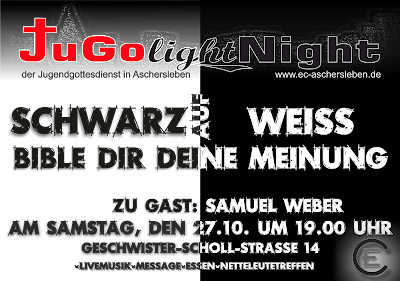 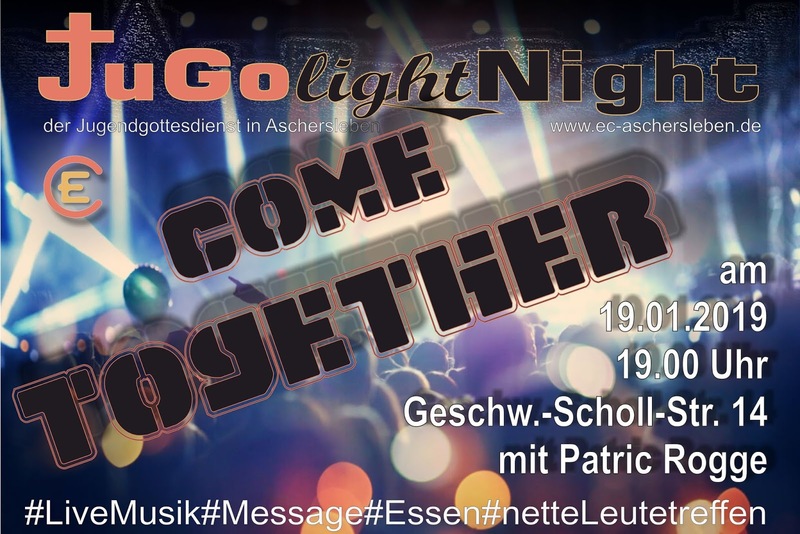 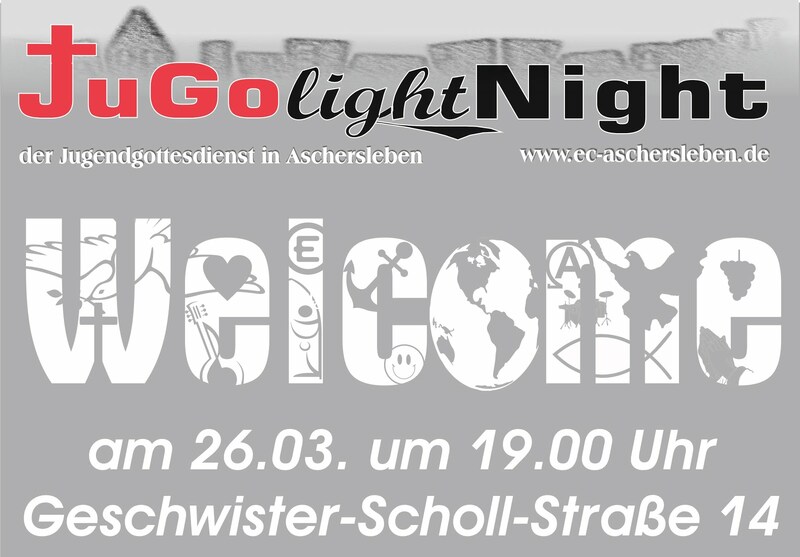 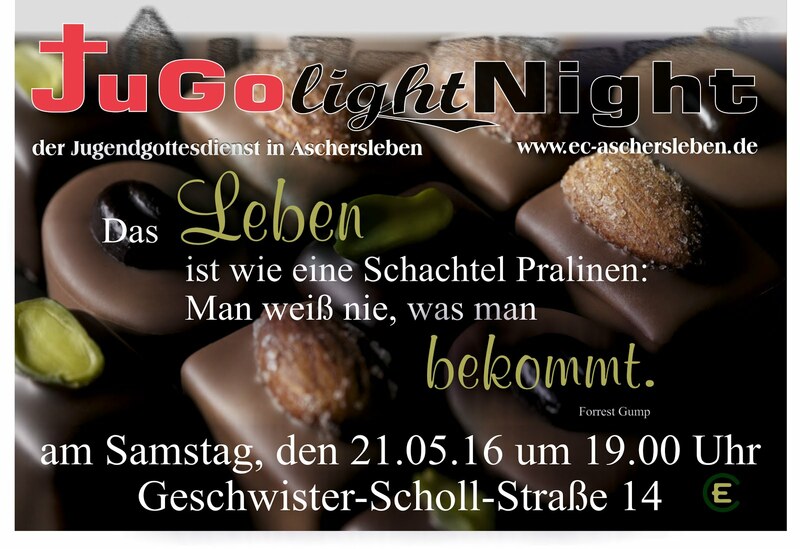 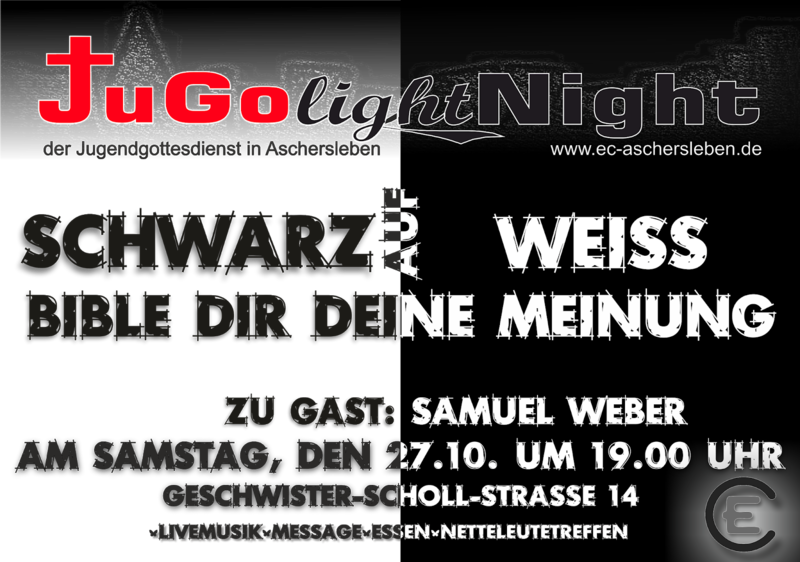 JuGolightNight "COME TOGETHER"
vom 28.07. 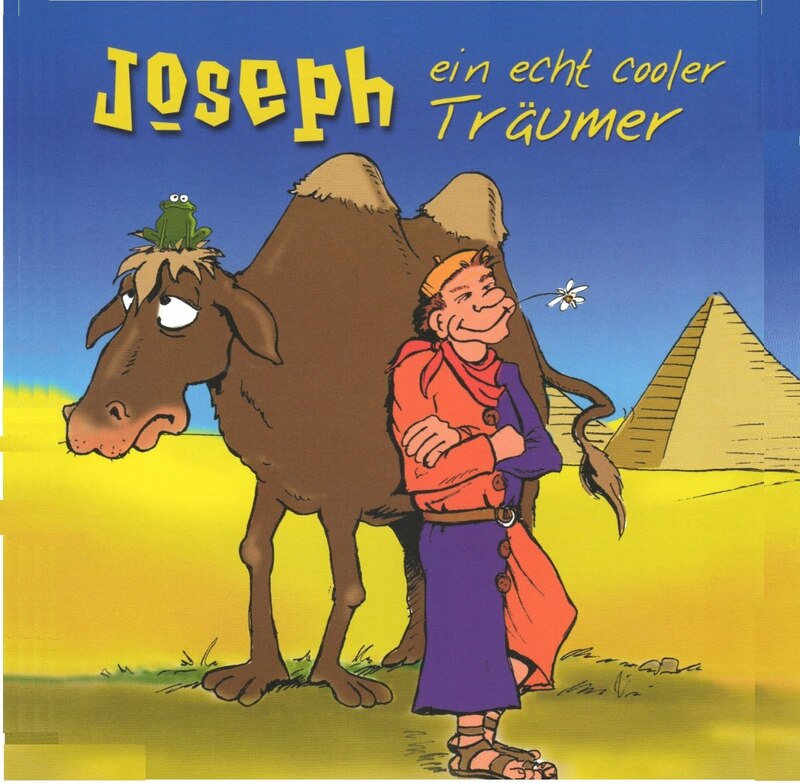 - 04.08. 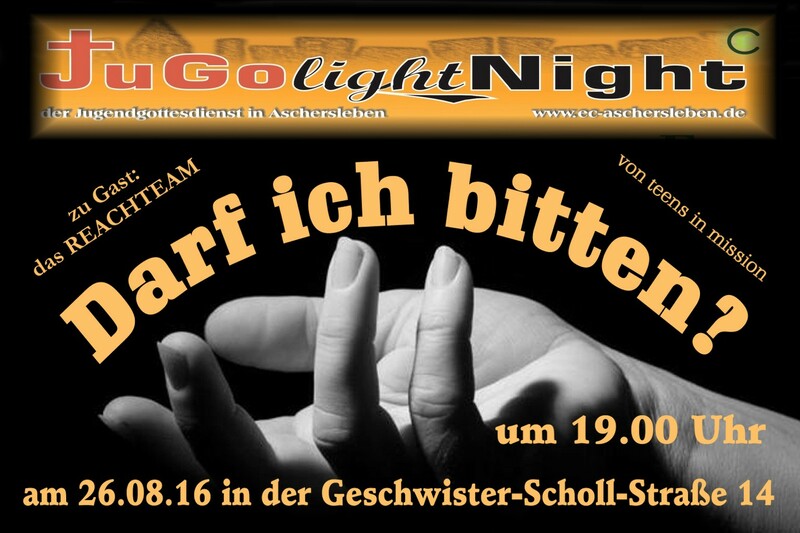 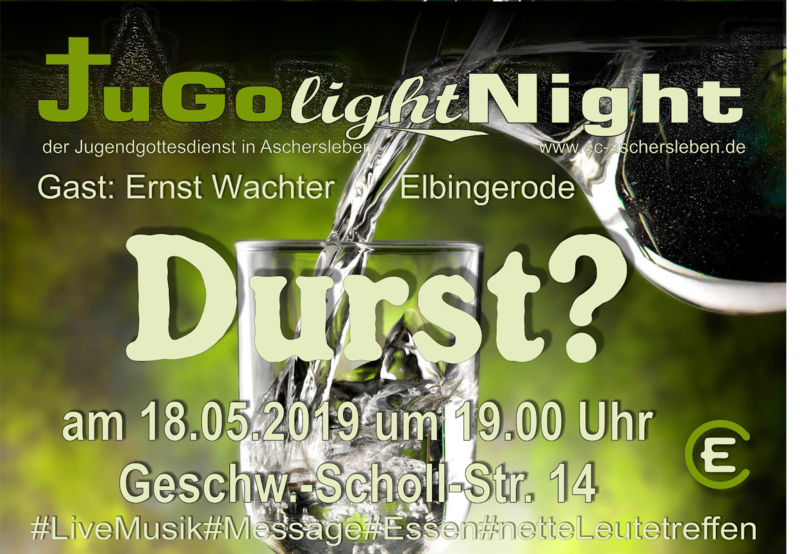 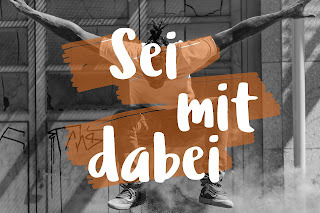 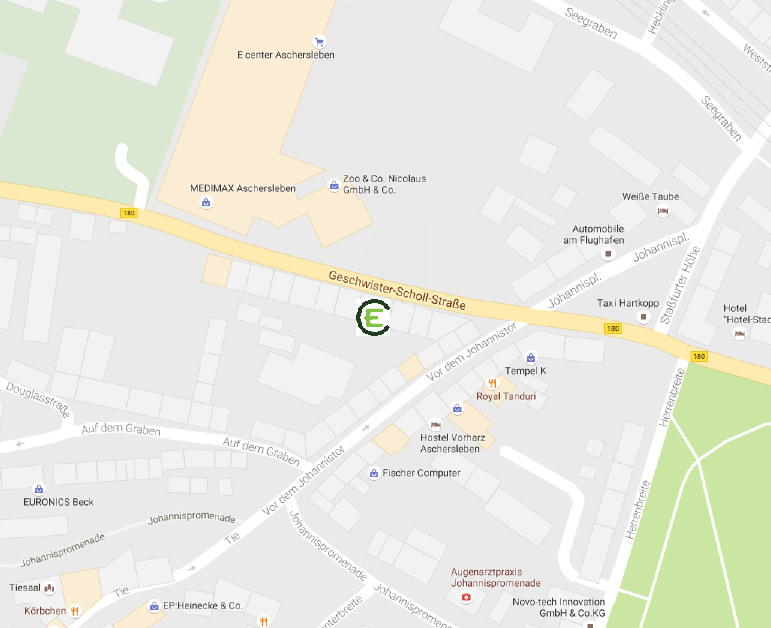 Sportwoche mit "teens in mission"